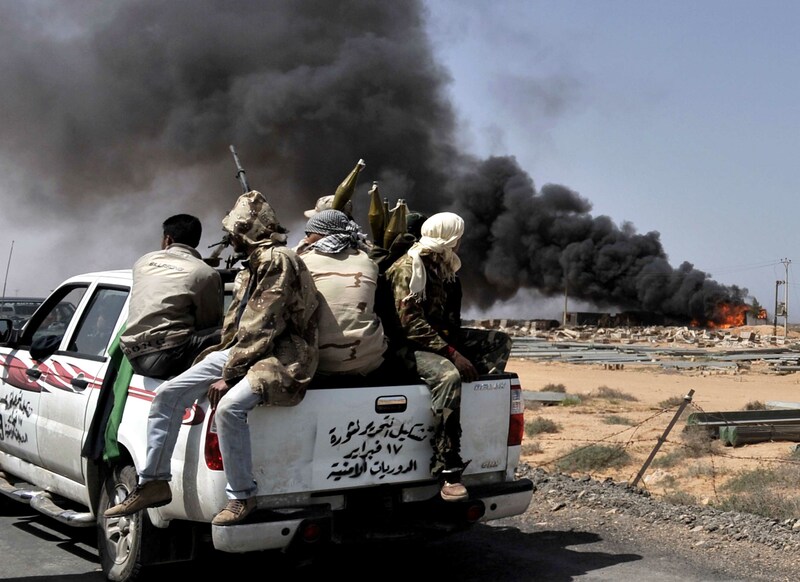 What did Libyans gain from the Arab Spring? February 17 marked the fourth anniversary of the Libyan uprising and the events that led to the civil war and to the NATO bombing campaign which toppled Colonel Muammar Gaddafi’s government. Four years on and the simple question arises of whether Libya and Libyans indeed achieved anything that is considered positive or worth continuously paying the price for. Thousands of Libyans are still displaced inside Libya, where they live on charity handouts and in makeshift camps scattered in various areas of the oil-rich country. Tawergha, a coastal town east of Misrata, is indicative of what is going on. Its entire population of some 40,000 still cannot go home. In the final days of the 2011 war, militias destroyed almost the entire town’s homes and businesses. Thousands of other families in the south, east, and in Tripoli itself still live away from their homes. Since last summer, Benghazi, where the rebellion started four years ago, is virtually a ghost city. Thousands of more Libyans, myself included, fled to Tunisia, Egypt, the Gulf states, and many European countries in search of security and peace, or simply because they could not stay in Libya for fear of arbitrary arrest or death. Dozens of former regime officials, including Saif al-Islam Gaddafi, Gaddafi’s son, are still stuck in legal limbo within a dysfunctional legal system that has so far failed to deliver any convictions. 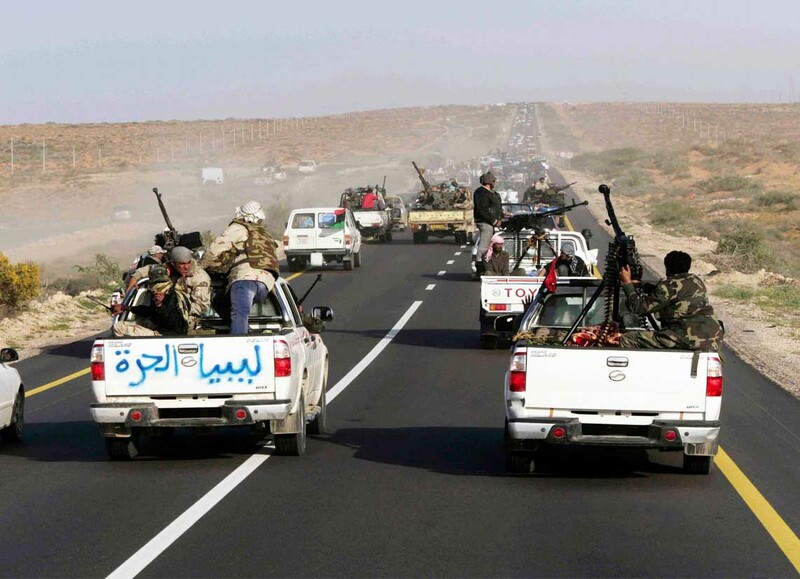 Another unknown number of innocent Libyans are either languishing in militia jails or have simply disappeared. I know of a couple of cases where families still have no clue as to what happened to their loved ones four years after they vanished. In economic terms the situation is grim. All major infrastructure projects, which were in progress when the war erupted — many were in their final phase — have been suspended and looted as foreign investors who flocked to Libya before 2011 have left the country with no intention of returning any time soon. Libya faces bankruptcy as its only source of hard currency, oil production, has fallen to one-quarter of what it was four years ago. Daily life for ordinary Libyans, in big cities and remote villages, over the last four years, has been a continuous struggle with high prices and all sorts of shortages. The hardest hit are large families that used to benefit from generous state subsidies which have now dried up. In Tripoli, as in all parts of the country, power and fuel shortages dominate daily life. The average number of blackout hours reached 12 hours a day when I last visited Tripoli in October 2014. Now it has somewhat improved, but still power outages occur a minimum of nine hours a day and in some villages electricity is available only every other day. Cooking gas cylinders, if found on the black market, cost some 500 Libyan dinars ($368), or five times what they used to cost before the war. 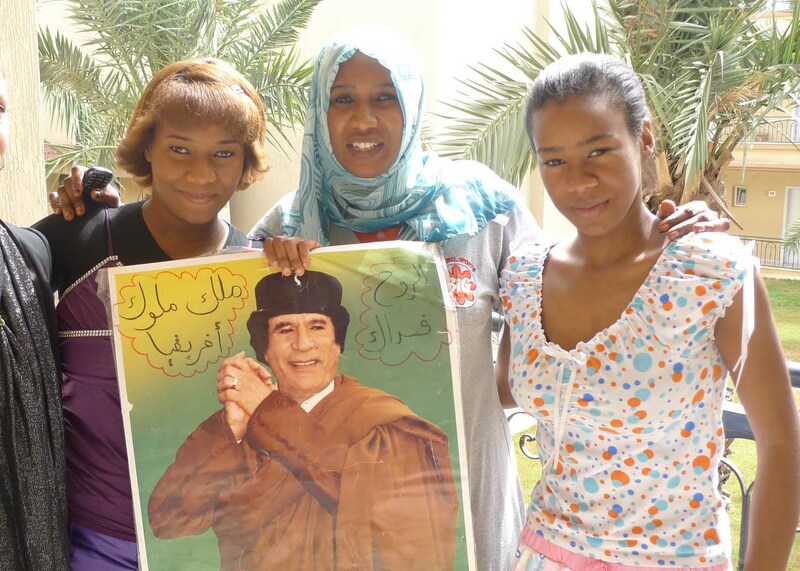 Libyan society is more divided than it ever has been. It will take years to get back the social harmony and peaceful way of life Libyans enjoyed before February 2011, as the war has wreaked havoc on daily life of almost every Libyan family. The tribal society used to have a well-entrenched frame of reference, where religious and social norms were observed and respected by all. Disputes and quarrels used to be settled amicably outside the court system thanks to wise elders who were respected and enjoyed high esteem. This unwritten code of conduct has disappeared and is being replaced by another in which groups without social roots and lacking any social cohesion dominate and impose their preferred kind of order. They are mostly armed gangs and social outcasts who call themselves “thawar” and they have arms ready to use whenever they like. Libyan social life itself has been badly hit, as reflected in the increasingly weak relations between families and even within families. The country is also facing a multitude of political problems. Libya now has two governments, two parliaments and two armies. The elected Tobruk-based government headed by Abdullah al-Thani and the unelected Tripoli-based government headed by Omar al-Hasi claim working for the benefit of Libyans. Yet, they are unable to protect their citizens, solve simple electricity shortages, provide medical care or security. Under the nose of both governments, the Islamic State and other extremist groups continue to operate with almost total impunity. While both sides are quarreling and fighting, ordinary Libyans are descending into despair and hopelessness, especially the youth. It is no surprise that extremist organizations, armed gangs and militias find plenty of recruits. Young people, in particular, are vulnerable to drug addiction, radicalization and social alienation. 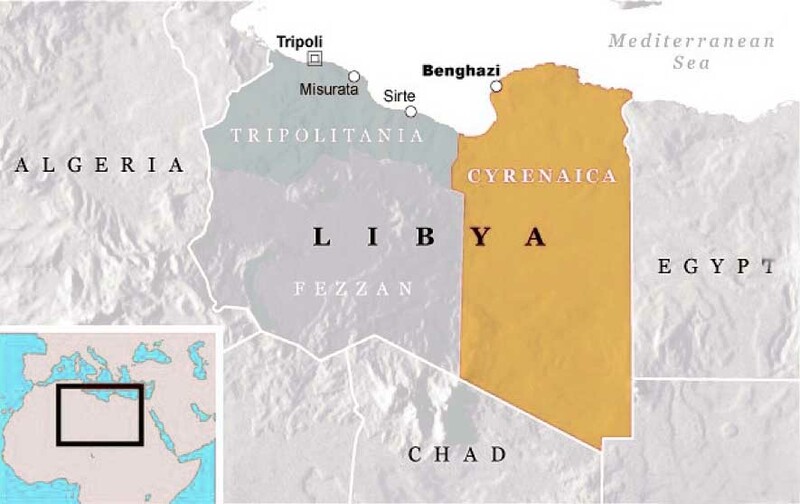 The country itself is on the brink of falling apart into its pre-1951 independence situation, where it used to have three semi-independent regions: Fezzan in the south, Tripolitania in the west, and Cyrenaica in the east. The security situation is worse still. Parents do not know whether it is safe enough to let their children go unaccompanied to the local school. At night, one is likely to be declared missing if not home by 10 p.m. Most women do not drive any longer and stay mostly indoors for weeks on end. I still remember the times when I would rarely lock my car or my house, and women were safe to drive at night on Tripoli’s main streets. Families would gather in cafes and at the seafront until late and nothing would threaten them. We, Libyan citicens, used to take security and safety for granted. It was extremely rare to hear of an explosion or car bomb attack. Today, explosions and even suicide attacks are frequent in Tripoli. All this while the international community still cannot agree on any workable plan to stabilize Libya, except for the UN-brokered talks that are scheduled to resume in Morocco. However, little is expected from these talks. Nevertheless, in all this instability and chaos, Libyans might also be gaining certain things that might have taken years to materialize otherwise. For instance, there are now over a dozen private TV stations and more than 20 newspapers in addition to tens of regional radio stations. There are at least 100 political parties and dozens of NGOs (nongovernmental organizations) catering to almost every imaginable cause. Yet, very little is being said or done about serious problems facing the country or initiatives which could make a positive impact on individual lives. Unfortunately, any positive impact of NGOs is being offset by hundreds of disingenuous religious preachers competing for the hearts of young Libyans, poisoning their minds with all kinds of evil. Reflecting on what we Libyans have achieved, it is tempting to say that Muammar Gaddafi might have been a dictator, intolerable of dissent and sometimes heavy-handed, but at least he provided security, basic needs, a social safety net, and he kept the country together.